There are many ways to bring more power to your Tarot readings, whether you are just learning to read the cards or have been utilizing them as a divination tool for years. One way is to apply the three ‘V’s’ to expand your reading skills, namely variety, validation and vision. Seasoned and professional Tarot readers often own a number of Tarot decks, but usually gravitate towards one or two of their favorites most of the time. Employing a variety of decks will keep your readings fresh, and can also expand your predictions. The images of the Tarot vary from deck to deck, which will offer you additional information to consider. Because you will be viewing the cards from a fresh perspective, you’ll be able to ‘see’ more. 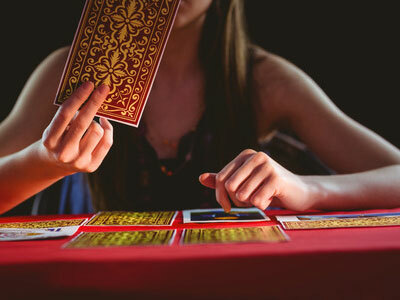 Tarot readers often also tend to use the same one or two layouts in their readings. Alternating the manner in which you lay out the cards is another great way to add variety to your readings. If you have only learned one or two layouts, researching additional ones or creating your own will add more power to your readings. If you are well-versed in a number of layouts, you will be able to designate certain types of readings to them, such as a special layout for love readings, another for career readings, and so on. Validating the answers you receive in a Tarot reading will not only build your confidence, it will also enable you to gather additional information in the process. There are a number of ways you can validate your card readings to make sure you are getting the most accurate information available. One method is to ask the question using an alternate layout. You can ask the question one way, then ask the same question using a different format, to see if you receive a similar answer. For example, you may use a Tarot spread you are familiar with to do a reading on a particular relationship. If you still have questions, or want to validate what you have learned, you could use a second spread to confirm the particulars. You can also pull additional cards for any aspect of the reading that still remains unclear. Another powerful method of validation involves ‘programming’ the cards. Before you begin your reading, as you shuffle, you can request that certain cards show up for confirmation. For example, if your question involves whether or not you will be making a physical move, you might ask that the Knight of Pentacles, the card that is a definitive indicator of physical movement, appear in the cards as solid confirmation. You may also want to ask a question for which there are no apparent cards that confirm an answer, such as, “Is this person someone I already know?” Designating a certain card to indicate that this is someone familiar to you, such as the Six of Cups or the Lovers, will make it easier to get the answer. Your ability to attach as many meanings as possible to each individual Tarot card will enable you to do subject-specific readings more effectively. Instead of limiting yourself to the standard arcane meaning assigned to the cards, such as The Fool representing ‘a new journey,’ you can expand your intuitive vision by reviewing the cards and attaching fresh, new interpretations to them. For example, if you find yourself doing a health reading, being able to assign a physical aspect to each card will enlarge your ability to assess a certain situation. For example, if you tend to pick cards that contain lots of pentacles, you may want to ask if the person is taking any medications, as this could indicate a number of pills being taken. If you are doing a career reading, the same could apply. Just one example would be having a number of cards with animals appearing – would this person make a good veterinarian or advocate of animal rights? Taking a closer look at each card will reveal other aspects of the image that can help you assign different meanings. Integrating the three V’s of variety, validation and vision into your readings is guaranteed to bring new depth and power to your Tarot predictions, which will allow you to get the most out of this powerful and magical tool of divination.